Sugar is part of our everyday meals, because every time you eat carbs, your body turns them into sugars and other elements it needs to work properly. However, if we eat sugar, processed sugars, and sweet beverages, we are on serious risk! Learn more here about why you should stop eating sugar! Sugar is your enemy for weight loss. We need sugar, yes, but we do not need empty sugars that just turn into accumulated fat everywhere in your body! 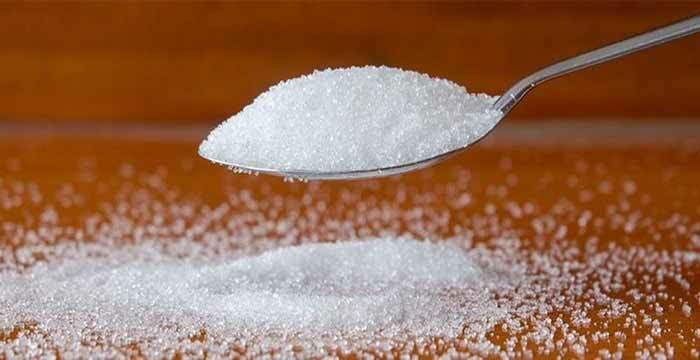 Sugar can cause many diseases like cancer, heart disease, and diabetes. It’s one of the most detrimental substances you can put in your body, and yet we all do it every day! Depression is another symptom of sugar. The deliciously added poison we can find in every sugary meal can increase the chances of getting depressed for both men and women. It damages your skin! Sugar is one of the causes of fast aging in women. Want to have beautiful skin? Make the right decisions and load up your diet with healthy fats! It causes energy spikes, but also to energy crash! That happens when you eat too much sugar or sugar-rich foods instead of balanced meals. That causes energy swings, that can be harmful to your overall productivity. Now you know why you should stop eating sugar! But, what can you do? For the fruits, have bananas, oranges, tangerines, a little bit of mango (too much can also be bad), and all the berries you can. These can help you fight sweet-tooth cravings easily. Improving your smoothie game is our best pro-tip! Not enough? Mix those fruits with some natural low-fat yogurt, dark chocolate, and oatmeal! These are great for you. Legumes like lentils, black beans, and others, and vegetables like sweet potatoes, kale, spinach, broccoli, and cauliflower are great sources of carbs with low sugar. Add these super-foods to your everyday diet and feel the improvements immediately! Check out some of the reasons why you should be vegetarian! Here at Brilliance Life, you’ll find the best lifestyle magazine articles. Make sure to share them with your friends! ← The Most Brilliant Quotes About Success You Need To Read NOW!